Tickets can be purchased online or from our Entrance. Pay once and visit for a whole year FREE of charge, including daytime events. Unlimited Tickets are not valid for Evening Events. For more information about our Beamish Unlimited Passes click here. Join the Friends of Beamish and you'll get a fantastic package of FREE entry (including daytime events), guidebook and quarterly magazine, plus great discounts and exclusive offers. 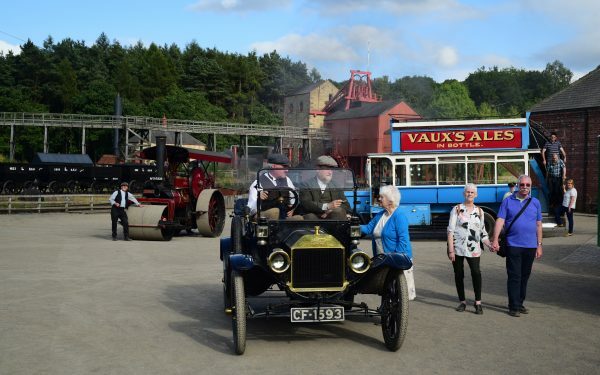 For more information about Friends of Beamish membership click here. Open daily, 10am to 4pm. Last admission 3pm. Closed Christmas Day, Boxing Day, New Years Day, and Mondays and Fridays from 6th January 2020 to 14th February 2020. We advise to allow at least four hours for a summer visit and three hours for a winter visit. Smoking, including e-cigarettes, is not permitted within the 1820s areas, any exhibit areas, buildings, tram shelters, museum transport or queuing areas. Please do be considerate of other visitors if you do wish to smoke whilst in the museum. 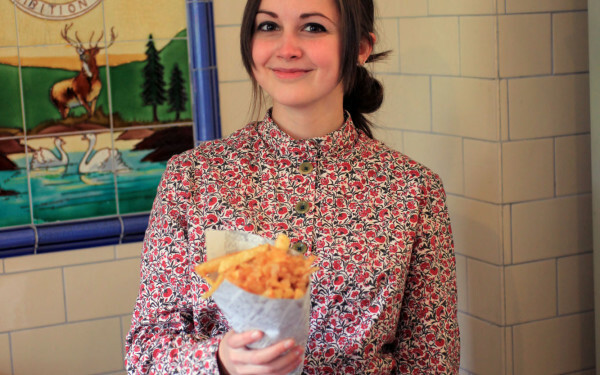 Beamish welcomes photography for personal use. We love to see photographs of our visitors enjoying their day at the museum, so why not share your snaps with us on Facebook, Instagram and Twitter? Please note, the use of tripods, monopods or supplementary lighting is not permitted. Find out more about bringing your dog to Beamish. From the North and South – Follow the A1M to Junction 63 (Chester-le-Street exit), then the A693 towards Stanley for 4 miles, following the signs. From the West – Take the A68 to Castleside, near Consett, and follow the Beamish Museum signs along the A692 and A693 via Stanley. Sat-nav users – our postcode is DH9 0RG. For details on how to get to the Regional Resource Centre, click here. Waggonway service 28/28A offers regular buses from Newcastle City Centre, Gateshead, Birtley, Ouston and Chester-le-Street. Buses run every 30 minutes on Monday to Saturday daytimes and hourly in the evening and on Sundays. Connections with other bus, train or metro services can be made in Newcastle, Gateshead and Chester-le-Street. Coast & Country service 8 runs every 30 minutes Monday to Saturday from Sunderland Interchange, via Washington, Chester-le-Street and Stanley. Click here to visit the Go North East website for full details and timetables. 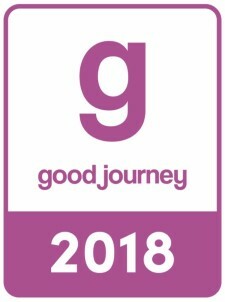 Click here to visit the Traveline website to plan a journey. 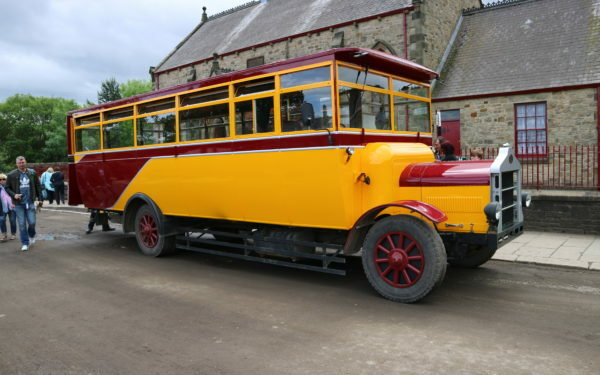 Travel to Beamish Museum on any Go North East bus and get 25% discount on a standard individual admission charge. Explorer North East – The only regionwide integrated public transport ticket, enabling you to travel the length and breadth of the region on local bus services operated by participating companies. The closest train station to Beamish Museum is Chester-le- Street, TransPennine Express run regular direct train services to Chester-Le-Street from Newcastle, Durham and Darlington. Save over 50% on train tickets when you book in advance with tpexpress.co.uk. Once you arrive at Chester-le-Street there are regular bus services from the town centre to Beamish Museum which takes approx. 15 – 20 minutes. Newcastle International Airport is the largest airport in North East England, flying to more than 85 destinations worldwide. Sixteen miles from Beamish. Car ferry services operate into Newcastle upon Tyne from Scandinavia and Holland. Contact DFDS Seaways for more information. National Cycle Network, Route No. 7, the C2C, runs past the Beamish Entrance gates. Linked to Durham Station via Route 14.1. Bike racks available. Here are some useful links to help you plan your stay, including local information guides and local accommodation providers for both County Durham and Tyne and Wear. Beamish is a large open air Museum with many historic buildings and some uneven surfaces and steep slopes. An accessible bus provides transport around the site and accessible toilets are located in most areas.